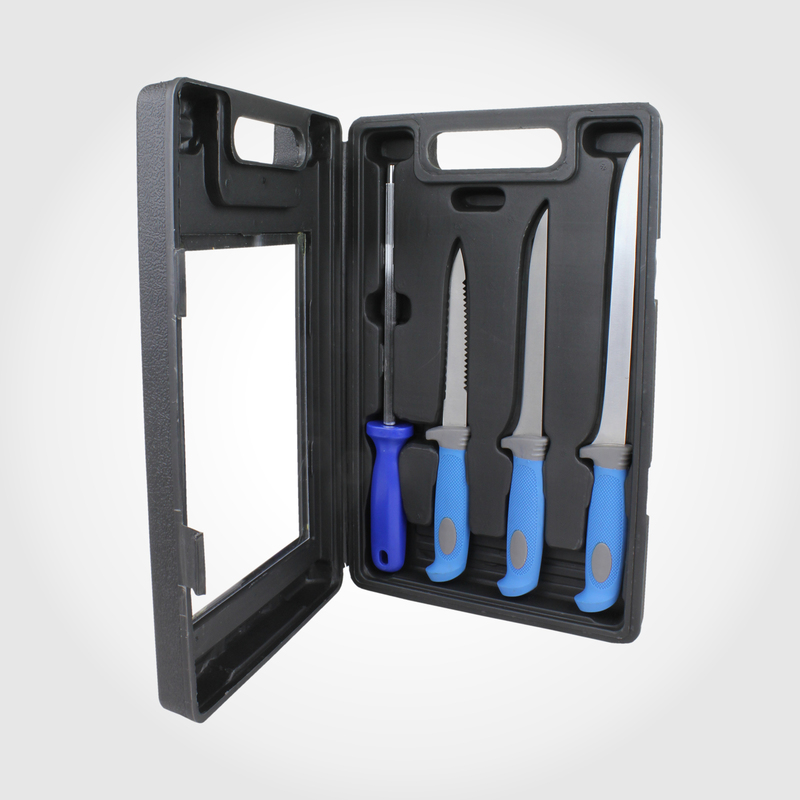 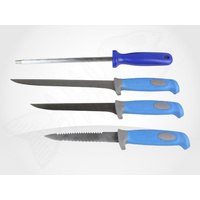 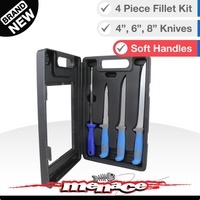 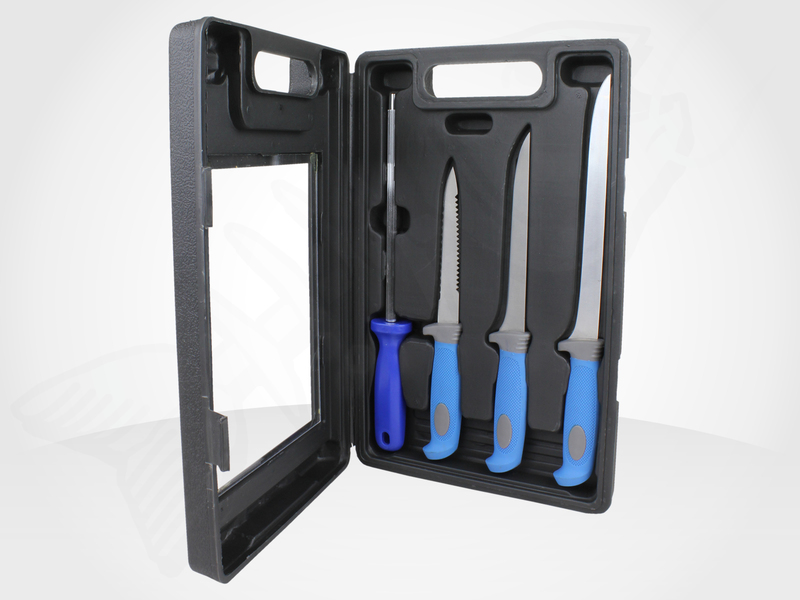 The essential filleting knife set. 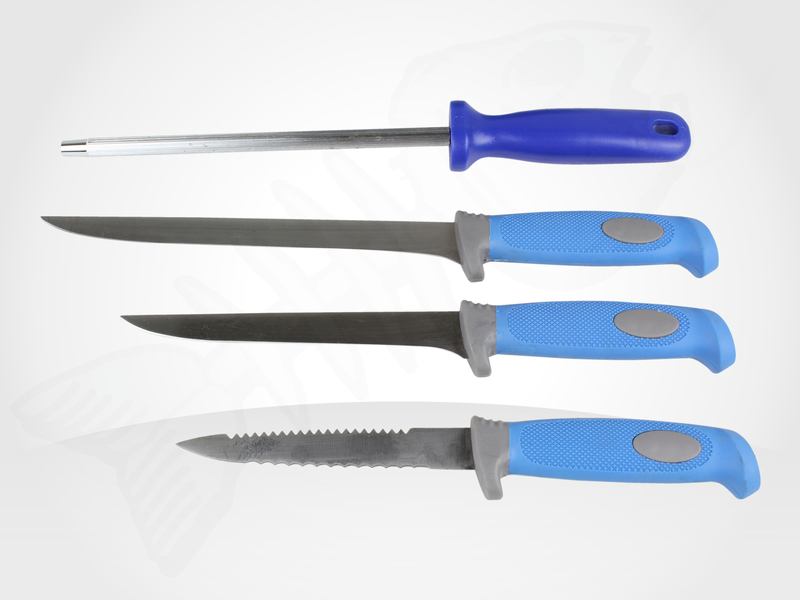 All knifes include soft touch rubber and stainless steel blades. 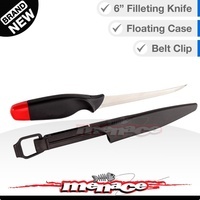 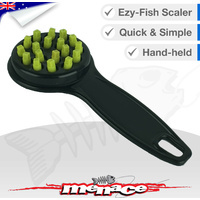 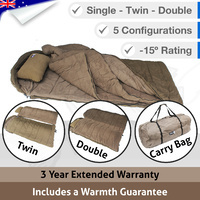 Perfect for Fishermen and Butchers. 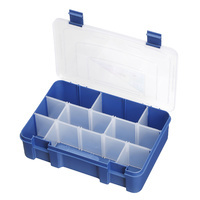 This set makes a great gift or present. 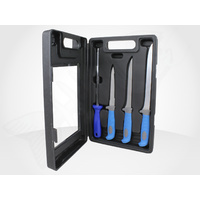 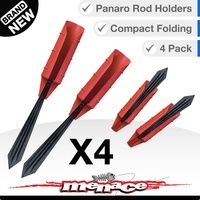 No surprises a useful set of knives for as a gift or a backup set.